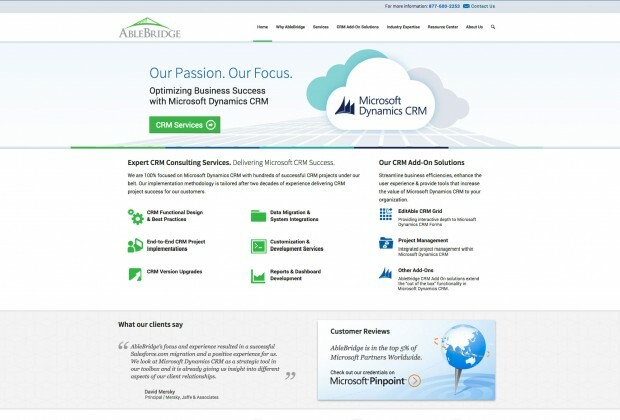 AbleBridge, a leading Microsoft Dynamics CRM Solution Provider, was looking to update their website, both in terms of the design and the functionality. A new color palette and branding guidelines were created to give the company a fresh new look and feel. 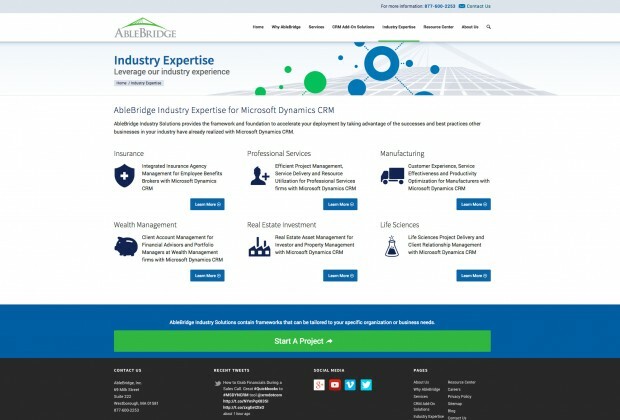 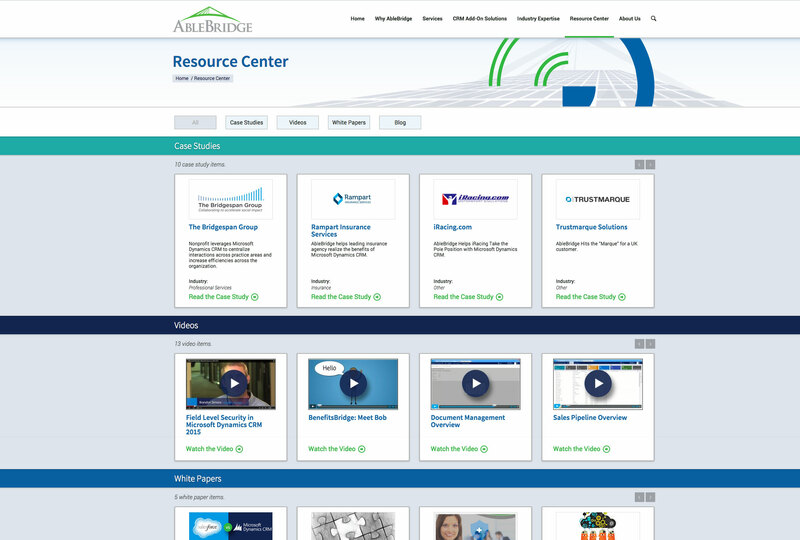 AbleBridge’s existing website was redesigned and rebuilt in WordPress, an Open Source content management system. Content from their current CMS was migrated to the new CMS platform, and a new dynamic Resource Center was architected and developed to allow site visitors to have a more user friendly way to access the company’s collateral.